Here is where you learn your boof! Day 1: Fly into Tampico as close to noon as possible. From here we drive to our home base at Aldea Huaxteca near Valles. Day 3: Rio El Salto gives us plenty of boof practice! Day 7: Last day on the Micos, running all the drops we have come to love! 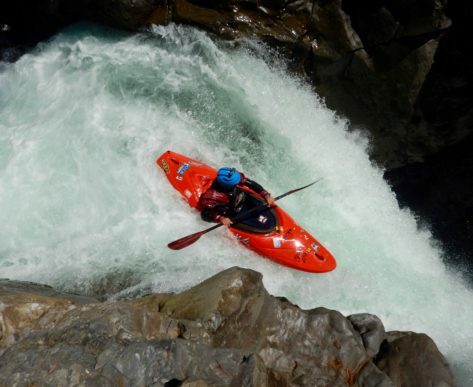 This fun, warm week in Mexico focuses on learning to run waterfalls: when to tuck and when to boof, improving your boat handling, and challenging your abilities in miles of rapids. 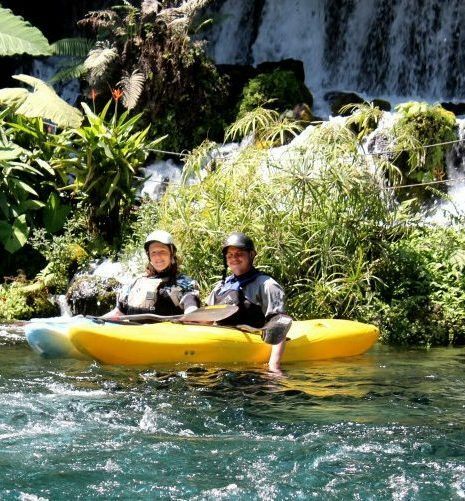 In the state of San Luis Potosi, we start on the clear waters of Micos Cascadas with a series of slides and small falls. There is plenty of easy and fun practice boofing down the many falls and landing comfortably. We stay at a beautiful, eco-resort at the take-out of the Micos. Using this as a home base, the group will travel to rivers in the area, all travertine drops with aqua-blue water and lush landscapes. Our exact itinerary will depend on water levels. We are sure to hit the Rio El Salto, stepping up waterfall running with 18 ft Luminoso followed by many smaller drops down below. One day is spent on the Santa Maria river, putting in downstream of Tamul Falls and paddling the fast-moving canyon section of the Tampaon. 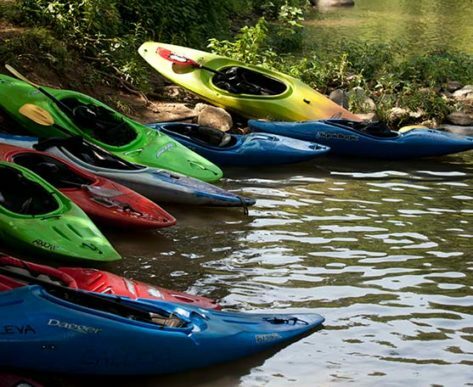 You will be surprised by how much your paddling will improve in a week. 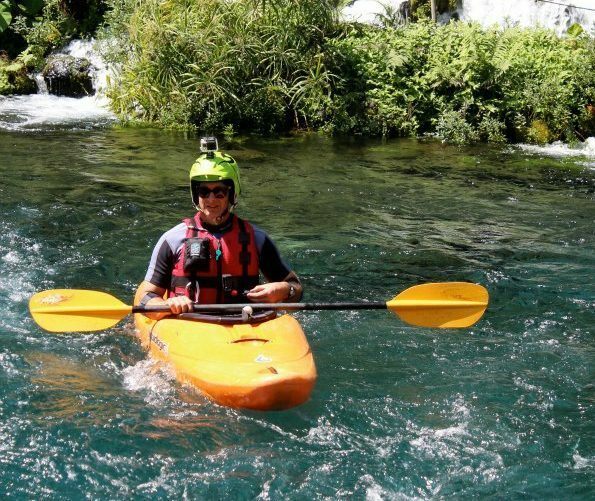 Our Strong Intermediate trips are ideal for people who are comfortable on the Lower Yough or other class III – III+ water. If you are one of our local students who have participated in our strong intermediate programs, like Cheat Training or Dickerson, you’re probably ready for this trip.